Want to Supercharge your health, your energy levels, and your fat loss? If so, it’s time! Time for what? Time to get on the coconut oil bandwagon that’s what. Coconut oil is catching fire all around the world as many people clue in to the a-m-a-z-i-n-g health benefits it has to offer. But there’s one big problem seem to be misinformed about when it comes to consuming coconut oil. Saturated fat. After all, if the American Heart Association says it’s unhealthy it must certainly be true–right? WRONG. It may come as a surprise to you that eating foods that are high saturated fat – such as grass-fed meat, milk, free range eggs, butter, avocados, raw nuts, raw cheese, and YES, coconut oil – does NOT cause obesity, high cholesterol and heart diseases, as was once thought. In fact, the opposite is true: you can and should enjoy theses healthy fats as part of a well-rounded, real food diet. One study that spanned the globe studied the diets of the Maasai tribe of Kenya, the Eskimos in the Arctic, and the tribe of the three atoll islands off the coast of New Zealand, and found that the diets of these tribes consisted of more that 66 percent saturated fat. And get this: these tribes were found to have the lowest risk of heart disease. Some culture that consume mostly saturated fat from natural source don’t even have a word for heart disease! Healthy saturated fats, like the ones found in coconut oil, have been found to be of tremendous value to good health and you’ll see exactly why inside this free report. Before we divide into the delicious details about what coconut oil does to your body, let’s touch on a bit of history. Coconut oil has been around since the beginning of time. How long? 3960 years. Considering there’s been 4000 years of documented history, that’s a LONG time. Coconuts, which come from the coconut palm tree has many different forms. Coconut water can be extracted which serves as an extremely healthy beverage and can help you restore much needed electrolytes. Coconut milk can be taken from the inner parts of the coconut and drunken as a delicious beverage. The coconut flesh can be consumed as-is or can be dries, forming coconut flakes (which make for a delicious oatmeal topping by the way!). Coconut butter can be created from the rich cream that comes from the coconut. And as you’re about to find out, coconut oil can be manufactured and used for multiple purposes. Take about a versatile fruit! Before we give you the details on how coconut boosts your health and longevity, let’s go over a few fun facts. The coconut palm, where coconuts come from can grow up to be 30 meters tall! The fronds, which are the leaves of the tree can also be 4-6 meters long. Coconut water will be more readily available when you consume the fruit early on in its development. This water is a rich source of dietary fiber, antioxidants, vitamins, and minerals. Because it is so rich in electrolytes, it can actually be used as a substitute for plasma in dire situations. Coconut milk is opposite of cow’s milk in that cow’s milk is relatively high in sugar content while coconut milk is sugar free. Instead, coconut milk offers up an amazing source of friendly fats. Coconut leaves are often used to manufacture brooms, woven into baskets or used to create mats. The coconut palm tree is grown in over 80 different countries, with the top producing countries being the Philippines, Indonesia, as well as India. There are more that 20 billion coconuts produced every year across the world. Now that’s a LOT of coconut. May 9th is National Coconut Creme Pie day – dig in! Now that we’ve had some fun, let’s get down to business. When it comes to your health, the oil in particular is an especially healthy addition to your plan and offers several amazing benefits. Keeping unwanted bacteria out of your system is an important job. If your body is not able to do this effectively, chances are, you’ll fall ill sooner or later. The good news is that coconut oil can help. About half of the fatty acids that are found in coconut oil come from 12-carbon Lauric Acid, which can kill off harmful bacteria, viruses, and fungi if they happen to be digested, notes research published in the Antimicrobial Agents and Chemotherapy. This could help save you from illness at some point in the future. Millions of people pass away every year due to heart health related concerns. Eating more coconut in your diet can help ensure you aren’t one of them. Coconut oil, despite the fact that it is a form of saturated fat has been proven to help increase the good HDL cholesterol in the body while lowering the levels of bad LDL cholesterol. In addition to that, coconut oil may also help to lower the total triglyceride levels in the body while also helping improve blood coagulation factors. If you’re one of those people who fear saturated fat for concern over heart health the reality is that it’s NOT saturated fat that’s the problem. Today’s research is showing that sugar is the real issue when it comes to heart health. Many people are adopting diets that are higher in total fat as well as saturated fat content without showing increased risk for heart health issues. The ketogenic diet, which recommends over 70% friendly fats, is the perfect example. By now you should already know that if you hope to enjoy the summer’s warm rays, you should be slathering on the sunscreen lotion. As it turns out, adding some coconut oil to your diet may actually offer similar benefits. Research is now showing that coconut oil may be just as effective as sunscreen at blocking out the sun’s ultraviolet rays. This doesn’t necessarily mean you should ditch your sunscreen entirely, but consider both to really ensure that you are protected. Inflammation is a silent killer and coconut oil can help you fight against it on a daily basis. Research has suggested that virgin oil may help to reduce inflammation and even help those who are battling arthritis manage their pain better. As many arthritic medications do tend to come with unwanted side effects, this can be an excellent benefit to note. Whenever you can opt for natural treatment methods, definitely do so. Did you know that about 70% of your immune system resides in your gut? This is why sustaining a healthy gut is a must if you want to live a long, healthy life. Many people do not even consider gut health as it relates to their well-being, but your gut is home to millions of bacteria. Some of these bacteria are good (i.e. probiotics) while other bacteria are not so good and take a toll on your health. Coconut oil can help to destroy the bad bacteria, allowing the good probiotics in your belly to flourish. These probiotics can then help do everything from keep your immune system stronger, combat problems like LBS and diarrhea, help you feel more energized during the day, and even help keep your mental health in check. Probiotics are essential for optimal health and coconut oil can help them thrive. Another major health concern that everyone should be paying very close attention to is diabetes. Diabetes is running rampant in today’s society, largely because of the diet we are consuming that’s rich in processed and deep fried foods. Adding some coconut oil to your day can help you lower your risk. One study published in the journal Metabolism noted that when test subjects supplemented their diet for 90 days with medium chain triglycerides, it was seen that this was associated with not only a decreased level of insulin resistance, which is a key contributing factor to diabetes, but that they also showed a lower body weight and waist circumference as well. Insulin resistance is a hallmark trait of diabetes amongst other health concerns (such as heart disease and hypertension), so doing all you can to control that is essential. Now that we’ve covered the general health aspect, what about fat loss? As it turns out, eating dietary fat can help you lose fat. Hunger and cravings. Every dieter’s worst nightmare. For most of us, we do just fine on our diet until the hunger hits. That rumbling in your stomach late at night causing you to crave something sweet or salty. You try and ignore it but soon, it’s just too much to bear. If your hunger and cravings send you aimlessly searching through your fridge or pantry for anything that looks edible, coconut oil can help. The reason coconut oil is such a powerful appetite suppressant is because it doesn’t increase blood glucose levels (since it’s 100% dietary fat). So it provides a faster releasing source of energy more like that of a carbohydrate. This is mainly due to the medium chain triglycerides (MCT), which acts very differently in the body compared to normal dietary fat. This is one big reason why many people following very low carb diet plans choose to consume coconut oil over other forms of fat. It gives them the instant appetite suppression that they’d otherwise see from carbohydrates without the spike in blood sugar. Next, you got a nice, even keeled release increased energy levels. When you eat a food rich in carrn bs, you might get sudden burst of energy, but it often sputters off 30-60 minutes later, making you want to take that afternoon siesta from the energy crash. Fortunately, this is NOT the case with coconut oil however. Because coconut oil is mostly fat, you don’t the energy crash that you would normally experience from eating complex carbohydrates. Instead, you get sustained energy. And because it’s made from fast acting MCTs, this energy hits you almost immediately after you consume it. This makes it ideal for athletes and workout buffs who want maintain their intense workout sessions. More intense workouts mean greater overall fat loss results. Finally, the last major reason why coconut oil can be so powerful in the American Journal of Clinical Nutrition, unlike other dietary fats, which have a very low thermic effect of food around 2-4% of the total calories consumed, medium chain triglycerides can burn up to 12% of the total energy they contain simply through the process of breaking them down. This means you net fewer calories over the course of the day when consuming this type of fat. While on the surface this may not seem significant, make no mistake, over time it can add up to make a big difference. So if fat loss is high on your priority list, you may want to think about swapping out some of those other sources of fat you’re eating and grab the coconut oil instead. Convenience – it’s available in almost every grocery store! Is able to withstand higher temperatures than many other oils so is excellent for cooking when using high heat. Is relatively high in calories so portion control is a must! When purchasing your coconut oil, in order to get the best results, look for organic virgin coconut oil. This coconut oil is completely unrefined and in its natural state providing the most powerful health benefits possible. While you may pay a little more for this variety, believe me when I say it’s worth the extra cost. Don’t skimp out when it comes to coconut oil. By this point hopefully you’re excited about what this oil has to offer and you’re looking forward to adding it to your diet ASAP if you haven’t already. First, remember that coconut oil does contain a lot of calories. You’ll be looking at 117 calories per tablespoon along with 13.6 grams of dietary friendly fats, so it will add up quickly if you aren’t careful. Just make sure you monitor your portion control. One to three tablespoon per day spread out over the course of the day with your other meals will be more than enough to receive these health benefits without leading to weight gain. Just remember, you want to replace other fats you are eating right now with your coconut oil. This way, your total calorie intake will stay constant. You can use coconut oil at any point throughout the day. Because of its unique thermic properties, it can even work great when taken prior to a workout session. This is totally opposite most dietary fats (which should be avoided too close to exercise). My favorite thing to do is add a tablespoon to my morning cup of joe along with some coconut creamer and a little stevia. Trust me, you’ll be impressed with the flavor. Yum! Of course, there are many other ways to consume coconut oil, so let’s take a closer look. GET COOKING WITH COCONUT OIL! Here a few delicious recipes you can experiment with that will allow you to enjoy the many health benefits coconut oil has to offer. Ahh! The glorious taste of chocolate. Now you can satisfy that craving without derailing your diet. Just try this delicious protein bark. It’s a very low carb snack that will provide a good dose of protein along with plenty of energizing healthy fats as well. Eat up! 1.) Melt the coconut oil and then mix it with the protein powder. Stir in the peanut butter and then pour it onto a plate covered in parchment paper. Top with dried unsweetened coconut flakes and then place in the fridge until hard. Say goodbye late night cravings! Don’t fear healthy carbs. Sweet potatoes are an excellent source of dietary fiber and nutrients and will also pack in good dose of antioxidants as well. Combine that will the benefits of coconut oil and you have a winning side dish right here! 1.) Slice the sweet potatoes and then coat with melted coconut oil. Top with spices and shake to coat. Place on non-stick baking sheet and bake at 350 degree for about 25 minutes, flipping at the half way point. Mmmmm! Craving carrot cake? You aren’t alone. This is a classic favorite for many but thanks to its high calorie and sugar content, it’s obviously not fat loss friendly food. Until now. Here’s how you can make a healthier version. This carrot cake granola recipe will be a sure hit and when placed over some Greek yogurt… delicious! Now you can satisfy your cravings WITHOUT sabotaging your diet. 1.) Heat the oven to 350 degree. Mix together all the ingredients except the Greek yogurt and then place on a baking sheet. Bake for about 20 minutes or until golden brown. Once finished, remove and let cool. Serve on top of the Greek yogurt. Need a jump-start on your day? Look no further that to this delicious well-balanced smoothie. With a great mix of healthy fats, carbs, and protein, you’ll have everything you need to get your day started off right. 1.) Place all ingredients in a blender and mix until desired consistency is reached. Serve immediately. Looking for a unique spin on your classic salad recipe? Try this coconut oil based salad dressing. This dressing combines the powerful health boosting effects of coconut oil along with that of olive oil to give you a truly delicious and nutritious way to flavor your greens. 1.) Mix together the honey, maple syrup, apple cider vinegar, lemon juice, lemon zest, and salt and pepper. Next slowly pour in the olive oil and then the coconut oil. Once mixed, pour into a container and place in the fridge until serving. Viola! No more bland and boring veggies or salads! Did you know that coconut oil can be used for many other purposes besides health and consumption as a food product? That’s right. Coconut oil is one of the most versatile oils around. Here are some other ways to utilize it. Your body needs natural oils on regular basis to sustain healthy looking skin and hair. Coconut oil can deliver! Either smooth coconut oil right into the skin on any rough patches you may have or melt it in the microwave and then power over hair. Wrap hair in plastic wrap if you want to really deep condition it, let sit there for 15-20 minutes and then rinse out. You will be amazed at how silky soft it feels. Did you know that coconut oil can double as a toothpaste? That’s right. You can simply use it all by itself on the toothbrush or mix it with baking soda so that it’s a tooth whitening toothpaste as well. Chapped lips? Not for long. Simply smear on a little coconut oil on those chapped lips and they’ll be soft and smooth in no time. Out of deodorant or trying to avoid aluminum? Just rub it under the underarms and you’ll be all set. Coconut oil helps to kill the bacteria that creates the smell you are trying to conceal to keep you smelling fresh all day long. While aloe vera gel is often used as a sunburn soother, another natural alternative is coconut oil. Simply rub it into the area that has the sunburn and you’re all set. If you want your furniture ti shine, consider simply rubbing s bit of the coconut oil on a cloth and then using this to add shine to your tables, chair legs, and anything else with a hard surface. As you can see, outside of cooking and your diet, there are many excellent uses for this oil so make sure you have it in your home at all times. Coconut oil. Pretty amazing stuff, right? Coconut oil has been a staple in my home ever since I discovered its amazing taste and therapeutic value a few years ago. Use it for cooking, serve it up drizzled over a salad, or use it on your hair to create luscious locks that feel great. There are an endless number of ways that you can put coconut oil to use in your life, so make sure you pick up a jar next time you’re out at the supermarket. 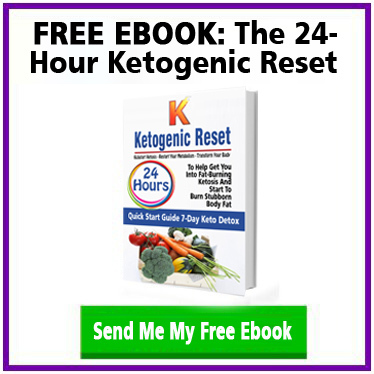 Join The Ketogenic30 with thousands of others who are using a Ketogenic and Metabolic approach to losing stubborn belly fat for good.